Complete with a "Mars Bars" joke. Serial entrepreneur Elon Musk loves surprises, and his appearance for a Q&A session at this year’s South by Southwest conference (SXSW) is perhaps one of the most entertaining shows we’ve seen from him so far. Most attendees found out about the impromptu Musk Q&A from an email sent on the night before, which added to the suspense. Fans knew they were in for a treat as the seemingly unplanned event kicked off 30 minutes past noon on March 11 at the Moody Theater in Austin, Texas. Musk answered questions from the audience, thrown at him by Interstellar co-writer and Westworld co-creator Jonathan Nolan. The panel was informative, but it was also silly — watch out for that “Mars Bar” dad joke. 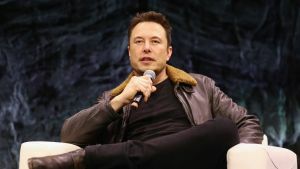 Of course, he mostly answered questions about his companies’ major preoccupations, particularly SpaceX’s efforts towards making humankind a multi-planetary species, beginning with getting to Mars, and Tesla’s work to bring truly autonomous, electric vehicles on the roads. Here are the three takeaways from Musk’s Q&A, which offered fresh insights about his plans for the future. Last year was a blast for SpaceX, marking milestones with one successful rocket launch after another. So far, Musk’s rocket company — which he said “is alive by the skin of its teeth” — has had a good start in 2018 and it might get even better as it builds up to 2019. With the first successful Falcon Heavy launch this February, Musk said SpaceX’s focus is the BFR — the rocket that might bring humanity to Mars. He told the audience to expect the BFR’s first’s few test flights by early 2019. “[W]e are building the first Mars, or interplanetary ship, and I think we’ll be able to do short trips, flights by first half of next year,” Musk said. After that, however, he quickly added his own disclaimer: “Although sometimes, my timelines are a little, you know…” he told a laughing audience. Indeed, Musk is known for being so optimistic with his personal goals that he often sets the bar a little too high. So far, we know that SpaceX plans to send their first cargo to Mars aboard the BFR by 2022, with a crewed mission to follow a couple of years later by 2024. With these in mind, a 2019 BFR system’s test seems realistic enough. This brings us to why Musk has been so keen for humans to colonize Mars: Getting there, he believes, is a question of survival for the human species. “It’s important to get a self-sustaining base on Mars because it’s far enough away from Earth that it’s more likely to survive than a moon base” in the event of a war, said Musk. “If there’s a third world war we want to make sure there’s enough of a seed of human civilization somewhere else to bring it back and shorten the length of the dark ages,” he explained. The possibility of a third world war, however, isn’t the only extinction-level threat Musk mentioned at the Q&A. What else could potentially end humankind as we know it? For Musk, of course, it would be the irresponsible development of artificial intelligence (AI), and he again called for the need to work “safely” on AI. “I’m very close to the cutting edge in AI,” Musk said, and that seems to both excite and scare him. “It’s capable of vastly more than almost anyone knows, and the rate of improvement is exponential,” he explained, using AlphaGo’s history of learning as an example. “Mark my words: AI is much more dangerous than nukes,” Musk warned, adding that there should be a “regulatory oversight” for the technology. On the other hand, the same kind of exponential, unsettling learning curve AI is capable of would also underpin the development of self-driving cars. “I think in the next year, self-driving will encompass essentially all modes of driving,” Musk said. And while uncontrolled AI could be a threat, self-driving cars are going to make roads safer, Musk explained. “At least, a hundred to two hundred percent safer than a person [a human driver] by the end of next year. We’re talking maybe 18 months from now,” he said. Tesla’s current autonomous driving system, or Autopilot 2.0, will be “at least 2 or 3 times better” than a human driver, Musk added. The informal Q&A was the latest update that Musk has given on the future of Tesla’s Autopilot self-driving system. Tesla had supposedly been working towards Level 5 autonomy — or full autonomy, by the standards of the Society of Automotive Engineers (SAE) — for 2017. However, how close Tesla is in achieving that remains anyone’s guess. Fans were surely excited to learn about Musk’s plans for the future, but the eccentric billionaire had another little surprise up his sleeve. Ok, maybe Musk won’t go for such a crazy move, but the Tesla and SpaceX CEO did leave us with lots to look forward to. Apart from the BFR and Mars, Autopilot 2.0 and Level 5 autonomy, Musk has his hands full with his other ventures, which include a futuristic tunnel to beat traffic and plans to give humanity a fair chance in competing with intelligent machines.